Mercedes have appeared to have the edge over Ferrari so far in Spain, and qualifying went that way too. Lewis Hamilton’s first run in Q3 was good enough for pole position, and no-one, not even himself could better it in the final flying laps. 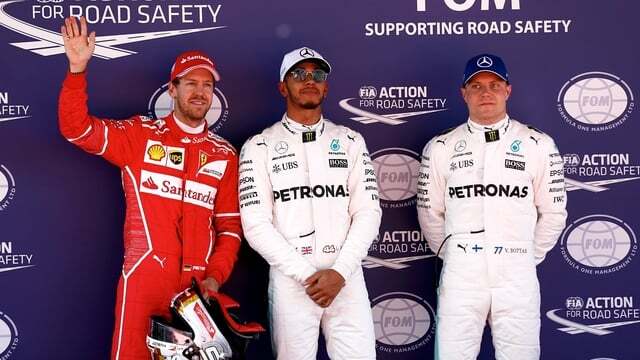 Vettel finished second, after dealing with engine gremlins for most of the weekend so far, whilst Bottas and Räikkönen settled for the second row of the grid. Meanwhile, Fernando Alonso finally had something to smile about as he got the McLaren car into the top ten for the first time this season, and ended up with the seventh fastest time overall. Teammate Stoffel Vandoorne was out in Q1, however, as was Daniil Kvyat who complained that there was plenty that needed fixing on his car. Sainz got into Q2, as did Grosjean but the Haas driver endured a couple of spins as he struggled to feel comfortable on the Barcelona track. Stroll didn’t manage to get into the top ten which was a shame, particularly compared with Massa who grabbed himself ninth on the grid for tomorrow.